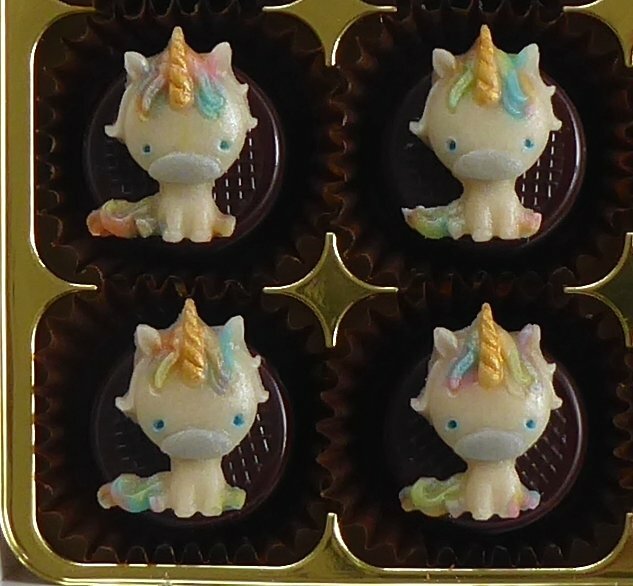 Unicorn decorated, marzipan chocolates, made by hand. 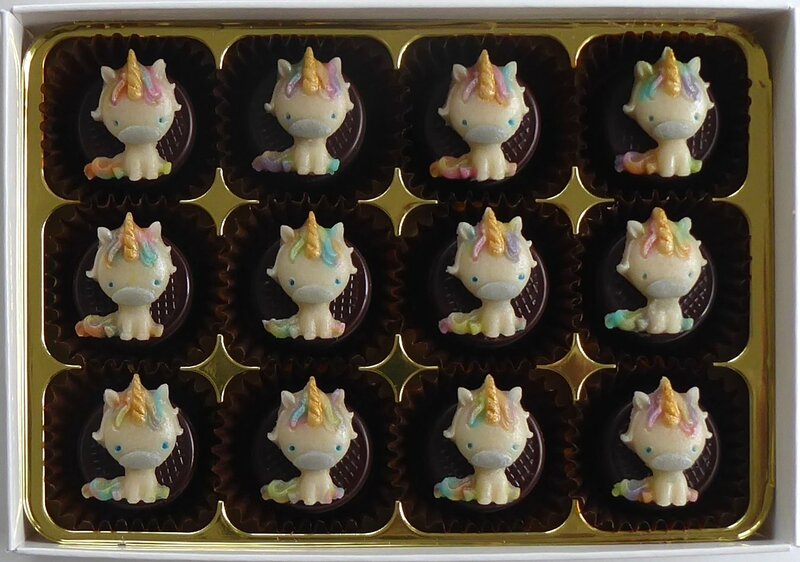 Cute little marzipan unicorns with gold horns and rainbow manes and tails! 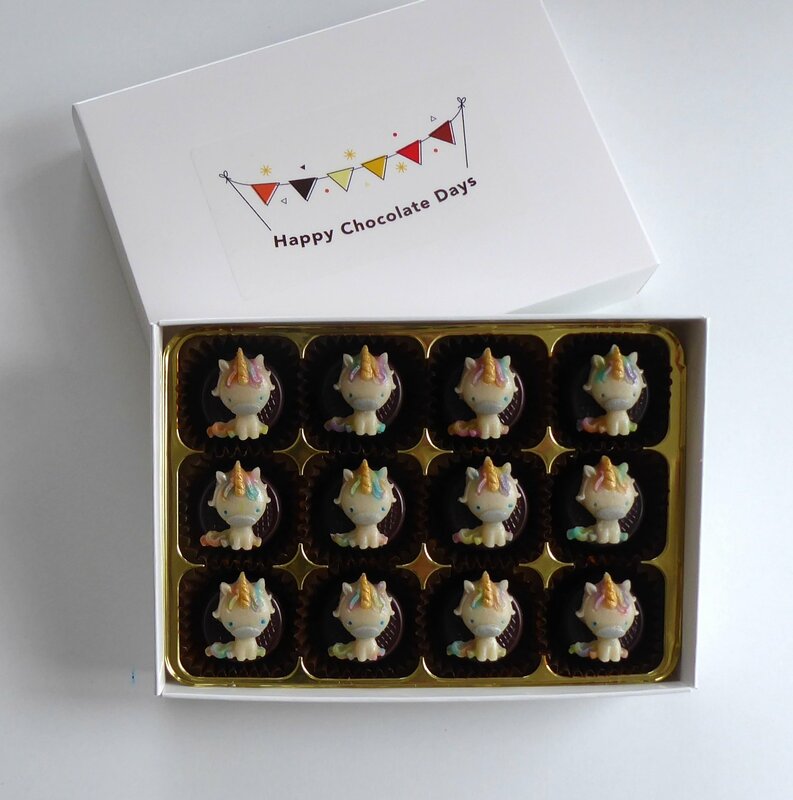 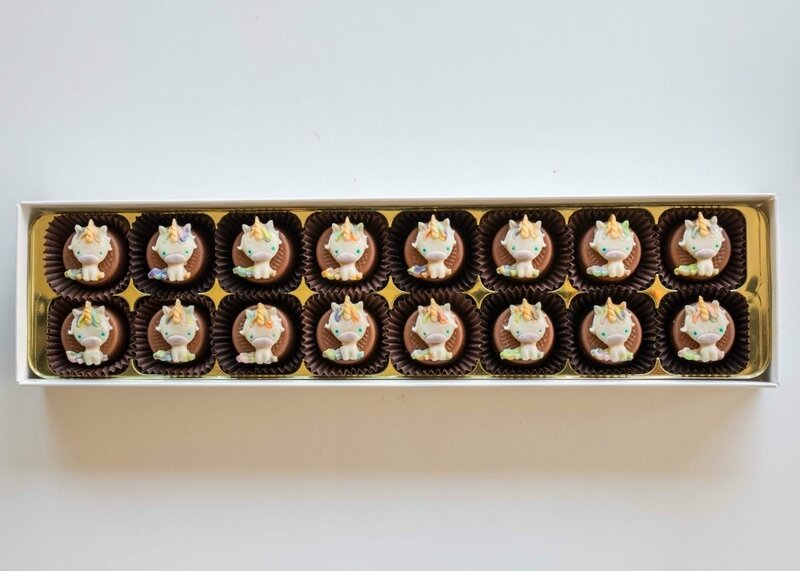 Create a personalised chocolate gift decorated with unicorns. 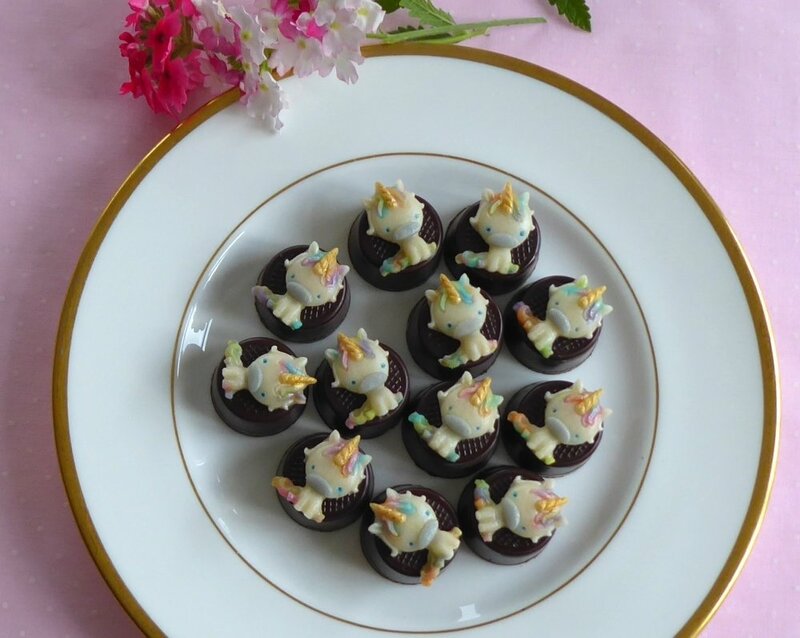 Unique and delicious.